1 The Snowdon Mountain Railway (SMR) is a narrow gauge rack mountain railway that travels for 7.6 km from Llanberis to the summit of Snowdon, the highest peak in England and Wales. It opened in 1896 and is still a very popular tourist attraction. 5 The boilers are inclined on the locomotives, to ensure that the boiler tubes and the firebox remain submerged when on the gradient. The locomotive always runs chimney-first up the mountain. Water is carried in tanks that run the full length of the boiler. 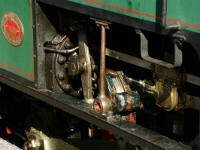 It also used for cooling when the engine is running downhill. 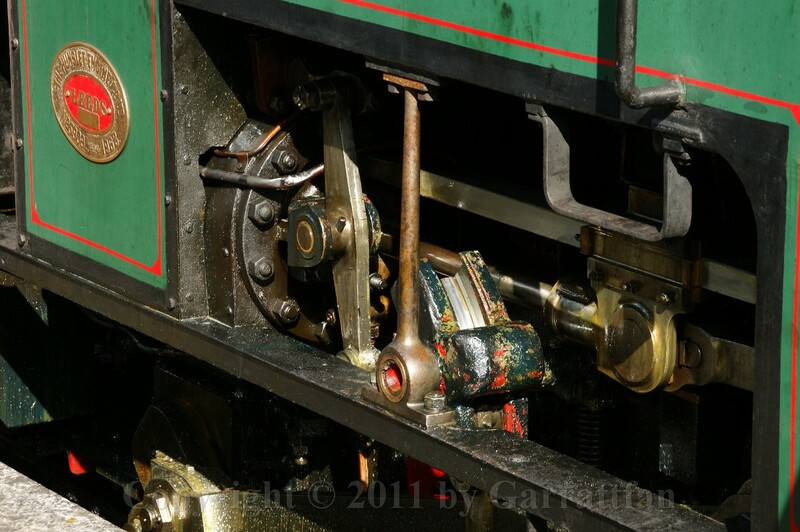 The drive to the wheels is through a series of levers that allow the pistons to have a longer stroke than the cranks. 8 Well this shot makes me proud of my photo skills. Sharp, good lighting, good timing. 21 I went to see if I could get some tickets for today but all trains were fully booked. Tomorrow the weather will not be quite so nice as today so I did not risk £50 for two tickets.